Michelle Gadsden-Williams is the Managing Director, Inclusion & Diversity Lead – North America at Accenture. Previously, she was the Co-Founder and Chief Operating Officer of Ceiling Breakers LLC, a multi-faceted business focused on diversity consulting, media driven women’s empowerment initiatives and diverse entertainment investments, based in New York City. Michelle is the former Managing Director and Global Head of Diversity & Inclusion at Credit Suisse AG. She provided strategic direction, thought leadership and championed the development of an inclusive environment by integrating diversity practice into all aspects of the business. Michelle is a seasoned and highly sought after diversity practitioner with more than 20 years of experience working in the consumer goods and pharmaceutical industries before transitioning to financial services in 2011. She has held positions of global responsibility in the diversity management and staffing functions for large multi-national corporations such as Credit Suisse, Novartis and Merck & Co, Inc. 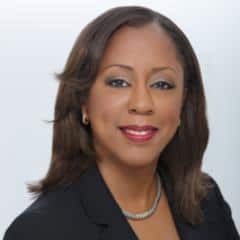 Prior to her tenure at Merck & Co., Inc, Michelle has also held positions in Human Resources and Product Development at Philips-Van Heusen Corporation and Wakefern Food Corporation both headquartered in New Jersey. An exemplary role model and advocate for equality and social justice, Michelle has worked tirelessly at refining processes, policies and programs that support an inclusive work environment. Examples include the design and deployment of global diversity strategies, the re-constitution of global diversity councils, the creation of innovative marketing strategies that target diverse consumers, the design and deployment of global diversity training curriculums and the creation of over 50 employee resource groups around the world. Her work has been cited in a number of research periodicals and trade publications in recent years. Michelle has acquired a number of community service awards and accolades for her work as a diversity practitioner. Most recently, she has been recognized as a 2015 Ebony Magazine Power 100 honoree. Over the span of her career, Michelle has been profiled in Black Enterprise Magazine, DiversityInc, Diversity Executive, Ebony, Essence, Fortune, History Makers, Heart & Soul, Jet, New Vision, Science Magazine, Sister to Sister, The New York Times, The Wall Street Journal, Target Market News and was recognized as one of 40 Outstanding Executives Under 40 in America in 2006 by the Network Journal early on in her executive career. Michelle has consistently ranked as one of the Top 100 Executives in America by Uptown Magazine. In 2010 she was ranked #6 in the Top 25 Women of Substance in Healthcare, (#48) in 2011 and (#31) in 2012, 2013, 2014 and 2015. Her other notable tributes include: being named the 2010 recipient of the Maya Way Award for Diversity Leadership by the incomparable Dr. Maya Angelou, receiving the 2008 recipient of the Harvard Black Men’s Forum Businesswoman of the Year Award, accepting the Rainbow Push Coalition’s Bridge Builder Award by the honorable Rev Jesse L. Jackson and being recognized with an honorary Doctorate of Humane Letters Degree from Kean University for her outstanding personal and professional accomplishments in the field of Diversity and Inclusion. In 2013, Michelle was appointed as a member of the Global Advisory Council on Gender Parity for the World Economic Forum in Davos, Switzerland. Michelle earned a B.S. in Marketing, a B.A. in Communications from Kean College of New Jersey and an M.S. in Organizational Dynamics from the University of Pennsylvania. She is a proud member of Alpha Kappa Alpha Sorority Incorporated and the Executive Leadership Council. Michelle serves on several boards including the Jackie Robinson Foundation, Hip Hop Sisters Foundation, Black Girls Rock, the SLE Lupus Foundation and an Executive Committee Member of the Women’s Leadership Board of the John F. Kennedy School of Government at Harvard University. Michelle and her husband, David Jamal Williams, Co-Founder and CEO of Ceiling Breakers, LLC, live in New York City.